The Android smartphone world has much variety of phones, but the features are somewhat common. We can also say that they all have mostly common features. The standard features are always present in all Android smartphones. The mobile data is an essential feature available in all phones as standard. To use this feature, you need a working SIM card in the device. Without it, you cannot use internet accessibility. Many of you think that if cellular data or mobile data don’t work, they can use the second option Wi-Fi. Although, you should remember that if any feature starts giving trouble, then the problem can move to other features as well and slowly make your phone useless. You cannot use Wi-Fi everywhere as you cannot take your router anywhere you want and the hotspot is also not available all the time. 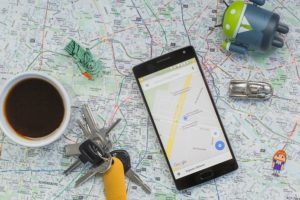 So, you not use Google Maps and connect with your friends and families through social networking applications. There is nothing more annoying than a slow mobile data and other related issues. In most of the cases, a slow internet connection can be solved easily, until it is affected by area or network traffic. So, before you contact your mobile carrier provider’s centre technical support, you must try to solve it on your own. As these are mostly related to software issues which can be easily solved. In this article, we have discussed all the possible methods which will help you to fix Xiaomi Poco F1 Mobile Data Not Working issue. You should never conclude that the issue is caused by any physical damage. These methods can be also used in other brand smartphones. If you have any other issues relating to any other smartphone brand, then feel free to contact Gadget Features Forum. Now, let’s begin the troubleshooting guide. After facing any type of mobile data issue you just have to restart the phone immediately. This will remove any bug which is trying to affect your device. These bugs can occur fro a website or app which you have opened. Remember, always use https websites which are a safer option. Well, restarting don’t mean hard restart, just do it like usual. You can also toggle the Airplane mode. This disables the connectivity options which might be causing your mobile data not to work. Drag down the notification bar, touch the Airplane mode off. Again, follow the same and turn it on. 2. Tap on “Wireless & networks” or “Connections”. 3. Turn Wi-Fi off and mobile data on. Data Roaming is the most common issues faced by Android as well as iOS users. If you are not at home its essential that the internet is with you which is extremely helpful with navigations. At first, make sure that you have enabled data roaming service in your device and you have sufficient balance in it. 1. Navigate to the Settings app on your device. 3. Reset the “Data Roaming” option. Make sure that you are under a network coverage area and you have a proper signal. If the network is weak change the settings accordingly. Every kind of the signal requires different settings. 2. Click on Mobile data> Network mode. 3. Now select the desired mode that is 2G/3G/4G Auto. 4. Auto mode changes the network automatically. If you are still not able to access the internet, then check if the SIM card is properly placed in the tray. Pulling your SIM card out of the smartphone. Don’t forget to turn the smartphone off as this is essential and prevents any damage. You can also try other company’s SIM cards if you think your SIM card has an issue. Some of the apps which you download from Google play store uses network and GPS permission. This is severe permission which should be provided to only trusted apps. So, you need to check those apps and then uninstall permanently. Some of you also limit mobile data usage and forget so, you must check this. You can also toggle off this option if you don’t want to use. 2. Click on Mobile Data or Data Usage. 3. Simply drag the data limit or write it by numbers. 4. You can also toggle the Limit mobile data usage option to disable the option. Network problem cannot always occur due to coverage area issue. You sometimes need to do something to solve the software related issues. All the network issues can be easily solved by resetting network settings. Here are some easy steps to reset network settings. 1: Navigate to the settings. 2: Go to wireless and networks option. 3: Now, click on mobile networks. 4: Enter access point names. 5: Press the back up and reset. 6: Select reset to default. VPNs give anonymity and privacy, although they can corrupt your network. It will slow the regular speeds when working remote servers. Hence, if a user’s device is linked to a VPN, they must try to disconnect. After that enable the mobile data and access internet. As soon as you disconnect the VPN service, you will notice that the overall performance has rapidly improved. You can connect again if you don’t notice any change. There is only two method left if none of the above works: Wipe Cache Partition and factory reset. Cache Partition removes all the caches stored in folders and files. Caches are the most unwanted element of a smartphone so, you can also wipe it out regularly. 2. Press and hold the Volume Up key and the Home key, then press and hold the Power key. 3. Release the Power key when device logo appears on the screen. 4. Release all the keys when the Android logo appears on the display. 6. Press the Power key to select. 7. Press the Volume down key to highlight ‘yes’ and press the Power key to select. 8. ‘Reboot system now’ is highlighted, select Wipe Cache Partition. 9. Press the Power key to restart the device. So, this was the full guide to fix Xiaomi Poco F1 Mobile Data Not Working. If you don’t get the network or still the mobile data not working, then you have to contact the ISP or carrier. In any of these circumstances, only your SIM provider would be able to support you. I hope you liked this article and these methods help you to solve the smartphone issues. Don’t forget to share it with your friends who are facing the same issue.